Searching for a town with a centralized location, a thriving town center, and its very own boat and country clubs? You found it in the lovely town of Winchester. A quick eight miles northwest of Boston, this town is known throughout the Commonwealth for its large, traditional homes and quaint lifestyle. 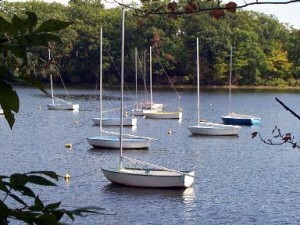 Located on the famed Mystic Lake, this community borders Lexington, Arlington, Stoneham, Woburn and Medford. This is a popular commuting location with two MBTA commuter rail stops, Winchester Center and Wedgemere, that will take you quickly into North Station in Boston. 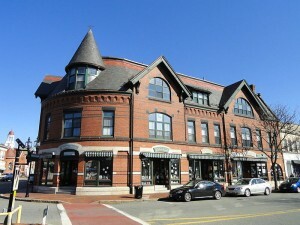 Winchester is also served by two bus lines that can bring you to the Orange Line in Medford for connections to points all over Boston and to the popular Burlington Mall for upscale shopping. Winchester gives you convenient access to the area’s main highways including Route 93, Route 2 and Route 128. Shopping, dining, fishing, swimming, whatever you like to do, you´ll find a place to enjoy it in Winchester. The town center is filled with little coffee shops, boutiques, bookshops and restaurants. The Mystic Lake area is filled with recreational opportunities including bicycling, boating, cross-country skiing, jogging, ice skating, the list goes on. There are also 11 playing fields throughout the town for baseball, softball, soccer and tennis, as well as childrens’ play areas. For those of you looking for a more exclusive recreational experience, there is the Winchester Boat Club, where members often partake in sailing on the Mystic, and the Winchester Country Club featuring a luxurious 18-hole golf course. 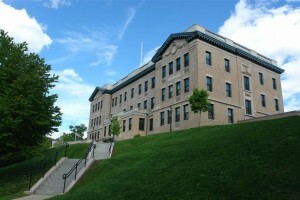 Winchester is also home to The Boston Globe’s number one place to work in 2008, Winchester Hospital. Winchester’s children enjoy five public elementary schools, one middle school and a high school, in addition to a town-wide public preschool program at the Lynch Elementary school. The yearly expenditure per student is $11,958, landing Winchester in the 81st percentile in the country. The average SAT scores for the town’s high school students is 1790. Visit the Winchester Public Schools’ website for more information, or click the links below to read more about each school. The following links were compiled to help you navigate your way around life in Winchester via the World Wide Web! Contact me at egcrampton@aol.com if you know of other interesting Winchester sites that would help other visitors. Need help setting up utilities service for your new home? I have put together some useful numbers and information for Winchester utilities. If you have more questions about Winchester, or about any of the surrounding towns, please call anytime. I look forward to hearing from you!